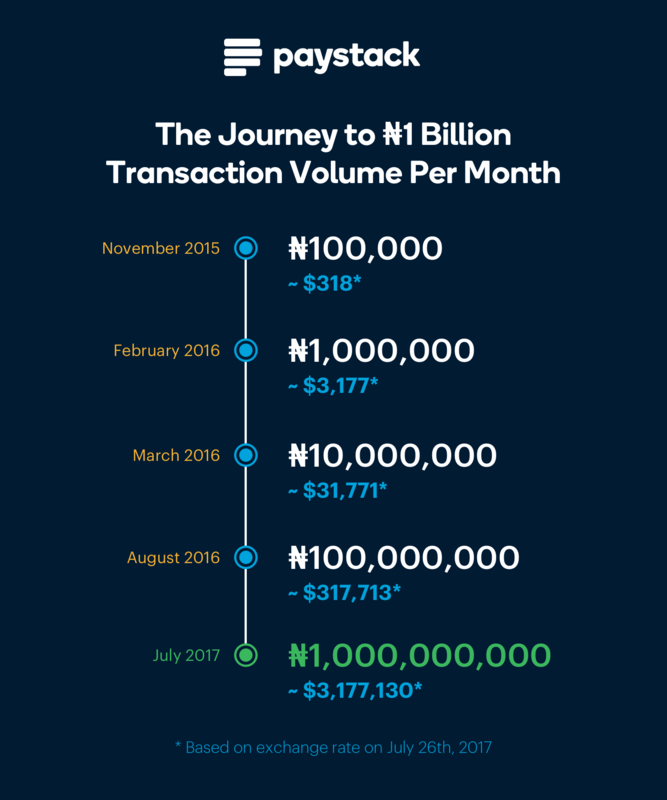 Last night, the Paystack team hit a major milestone: Nigerian customers are now using Paystack to pay over 1 billion Naira (~$3 million) to Nigerian merchants, every month, entirely online. It’s become something of a tradition at Paystack to share our transaction volumes publicly. Why do we do this? It’s certainly not because we’re trying to brag, or because we think the numbers are so much larger than our peers. At a little over a year and a half old, Paystack is actually a relatively new entrant into the Nigerian payments space. Many of our peers have been at this for a lot longer, and passed these milestones ages ago. We’re a tiny team with big dreams. 12 months ago there were about 5 people working at Paystack. Today we’re 18 people strong (and growing! ), but the problem of payments in Nigeria is so daunting, that the bad days can sometimes outnumber the good. We consider it an important part of company culture to celebrate the wins. Another value we hold dearly at Paystack is that of transparency. We’re inspired by the example of the folks at Buffer, whose CEO routinely shares detailed revenue numbers publicly. We believe strongly that for African businesses to become the global behemoths we aspire to be, we need to set aside the culture of intense secrecy and share what we’re learning and how we’re doing. I love how companies in the valley, Europe and South East Asia are deliberately building their engineering culture. These companies do this through a couple of ways; tech talks, engineering blogs, open source, etc. 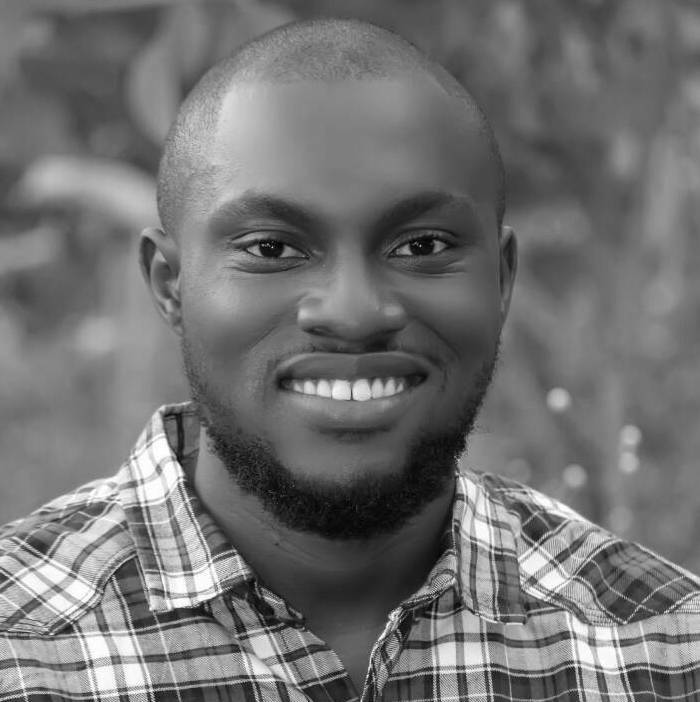 They share their problems, pain points and solutions…While the Nigerian and African tech needs funding, the need for actual engineering collaboration and sharing cannot be over emphasised. If you’ve solved a major problem; optimisation, security, scalability, experimenting with a new tech, write about it. Share.While I’m not oblivious to the Dunning-Kruger effect, you will be surprised at how many people will learn and benefit from this gesture. Building out your own CI/CD pipeline? Write about it. Wrote an amazing configuration management for your servers? Share it. Talk!!! Found a new way to minimise latency by 3%? Write about it. Talk. Mitigated a DDoS? Write about it.We need more African tech startups writing about their processes, product design methodology, software engineering practises, opening up their APIs. When more African businesses share, we all become better. We all benefit. We believe this strongly as a company, which is why we intend to be an example. Here’re a few fun details about the transaction that got us to our latest milestone: it was a payment of ₦6,000 made in Ikoyi using a Mastercard Debit Card, issued by GT Bank. Here’s a timeline of previous transaction volume timelines. We can’t say this enough: thank you to our merchants for trusting us with their business, to the entire Paystack team for working tirelessly to get us to this point, to investors for the vote of confidence, and finally, to an entire universe of friends and well-wishers who inspire us to do more.